In today’s fast-paced world, it’s not always easy to find the time to teach ourselves new information. 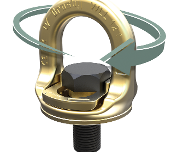 However, we all know how important it is to be knowledgeable and safe when it comes to the powerful rigging products we rely on every day. 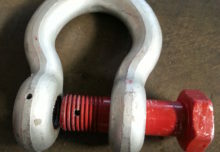 Fortunately, our User’s Guide for Lifting training program makes it easier than ever for all users to master the fundamentals of rigging when using Crosby hardware in conjunction with wire rope, chain, and synthetic slings. For many years, we offered this training program on CD-ROM and it was immensely popular. Now, we are thrilled to offer this enhanced, online version of the program via the Crosby website. (See link below.) 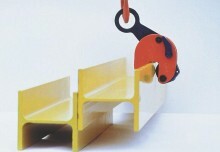 The course covers the principles of rigging by following the format of the Crosby User’s Guide for Lifting pocket-sized rigging card. Comprised of 15 bite-sized videos, the web-based program makes it easy to either work at your own pace or tackle the entire course in about 4 hours. Upon completing each of the 15 videos, your comprehension of that topic’s material will be assessed with a quiz. When the entire course is completed you will receive a Crosby Certificate of training completion. The cost to participate in the Crosby User’s Guide for Lifting training program is just $15.00. Additional topics discussed include: Calculating the Weight of the Load, Center of Gravity, ASME/OSHA Standards, and Load Control Basics.